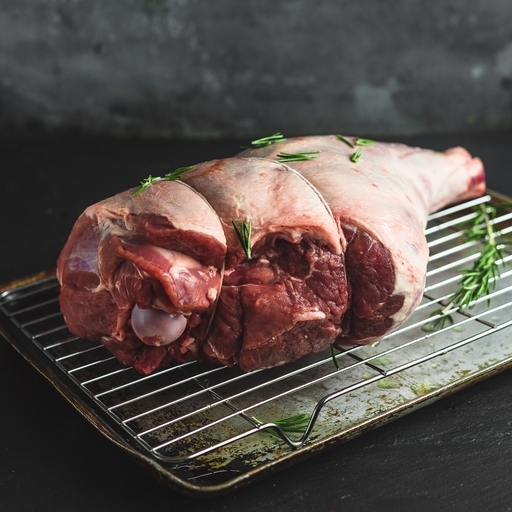 A whole leg of lamb is the ultimate centrepiece for your Sunday roast. We leave the bone in and as it roasts, the marrow melts out into the meat, seasoning it with natural flavour. You could also butterfly this organic lamb, for show-stopping grilling or barbecuing. Remove the leg from the fridge at least an hour before cooking to allow it to come to room temperature. Rub the leg with oil and season it well with salt and pepper. Preheat your oven to a high heat, 220˚C/Gas 8. Roast the lamb for 25 mins, until golden brown all over. Reduce the heat to 180˚C/Gas 4 and continue to cook for another 55-60 mins. This should give you a medium blush to the meat. Remove from the oven, cover in foil and leave to rest for 20 mins before carving. If you have a meat thermometer then 52-54˚C is rare, 60-65˚C is medium and anything above is well done.